Thomas Bremner – Accurate (Peel) Appraisals Inc.
BA Economics, McGill University, 1980 Thomas has appraised a substantial amount of residential properties, both urban and rural, in Toronto, Halton, Peel, Dufferin, Adjala-Tosorontio, New Tecumseth, Wellington, and York. He has had his Canadian Residential Appraiser designation with the Appraisal Institute of Canada since 1998. As partner/owner of Accurate (Peel) Appraisals Inc., Thomas has trained many appraisers that are currently employed with or have previously worked for Accurate (Peel) Appraisals Inc. as Candidate Appraisers, who have since created their own appraisal firms. 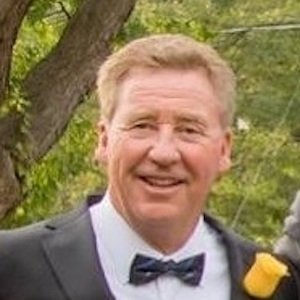 He is also the Broker of Record of Heritage Caledon Realty Inc., Brokerage, and has sold commercial, industrial, and residential real estate since 1982. Thomas has received numerous awards for outstanding sales performance and for Top 10 Sales representative. Thomas is also a member of Industrial Commercial & Investment Council of the Canadian Real Estate Association.